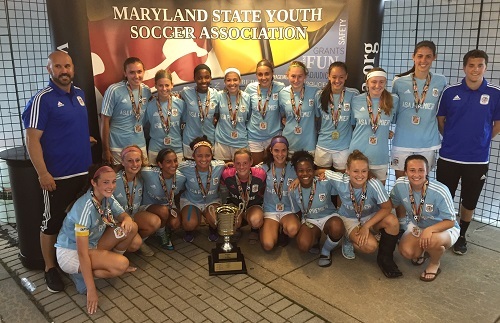 Congratulations to the 2016 Maryland State Cup Champions! The following teams will represent Maryland at the 2016 Region I State Cup taking place in Barboursville, WV on June 30 - July 5, 2016. 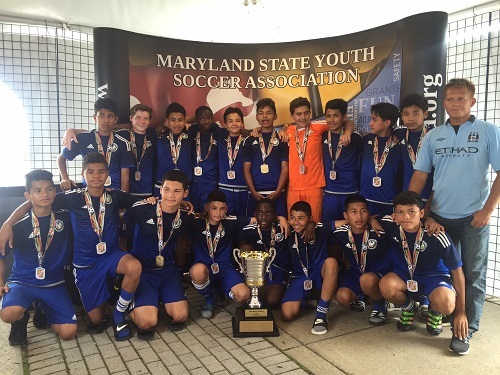 Please follow this link to view the 2016 Maryland State Cup online store! U12-18 Registration is now closed. 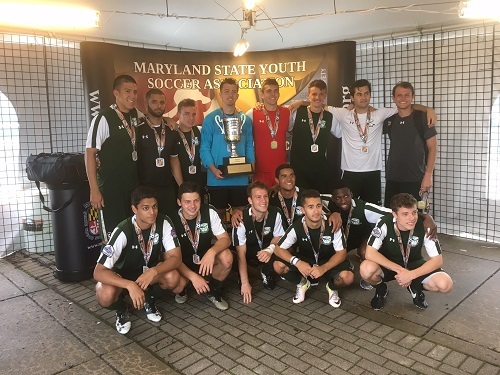 The Maryland State Youth Soccer Association has been awarded a wild card for the Region I Regionals in the U16 boys and U17 girls age groups. In these two age groups both the champion and runner-up will represent the state of Maryland at the Regional tournament in Barboursville, West Virginia from June 30th through July 5th. Please continue to monitor the website for updates. Uncashed bond checks will be destroyed upon the completion the team's compliance with all rules and policies of the National Championship Series or upon the completion of the National Championship Series. Quarter final checks will be cashed for the teams that will be advancing. Teams that do not advance to the quarter final rounds will have their uncashed checks destroyed along with their bond checks. Referee fees are not included in the game fee and must be paid in cash at the beginning of each match. Withdrawals must be made to the Cup Director or Designee. A team may withdraw and have the application fee returned if notice is give PRIOR to the published Cup application closing date. It is the responsibility of the clubs/teams to be famaliar with all Cup rules. All State Cup Dates listed are to be considered tentative except for roster freeze dates and applications dates. Changes can and will be made based upon field availability, numbers, weather and other considerations. Closed at 5:00pm. All applications must be completed, accompanied with payment and bond, approved league roster and received in or emailed to the state office by 2/3/16, 3:00pm. Frozen at 5:00pm. This early freeze date is for teams of a particular age-gendered bracket with more than 16 teams in their bracket participating in play-in games. For girls teams of a particular bracket of more than 16 teams (U12 – U17). For boys teams of a particular bracket of more than 16 teams (U12 – U17). Frozen at 5:00pm. This freeze date is for teams of a particular age-gendered bracket that have 16 teams or less in their bracket and did not participate in play-in games. For teams of a particular age-gendered bracket of more than 16 teams (U12 – U17). Age group brackets with 3 teams will play round robin format. State Cup Rule 2.1.3. reads "During the current seasonal year, all teams, except U19, must play in a fall winter, or spring affiliated MSYSA member sanctioned US Youth Soccer league. 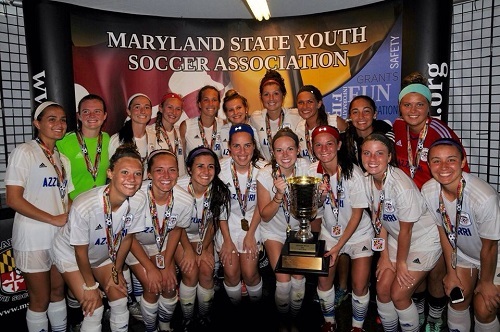 The team must compete in at least a 4-team approved league during the current seasonal year in its State Association, US Youth Soccer Regional League, US Youth Soccer National League or with its State Association's permission in another State Association...."
It is important to note that only USYS/MSYSA cards and rosters are to be used for all teams seeking qualification into the Maryland State Cup. For the 2014 State Cup year, MSYSA implemented a State Cup verification form in which any team using a league that was not MSYSA “pre-approved” would need to have their games verified by the league administrator. The administrator and the team representative verified that the games played in the league were done so in accordance to the stated 2014 MSYSA State Cup rules. During the year, it was brought to the attention of the MSYSA that although the verification form had been “signed off”, there had been teams, in fact, that were not in accordance with this rule. The MSYSA maintains a strong sense of fairness and equity, and as such, considered the ramifications of limiting state cup qualifying leagues. 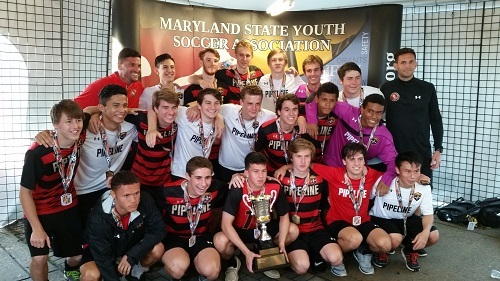 It was agreed that since the opportunity to play in a winter and spring league was a viable option and that maintaining the integrity of the MSYSA State Cup and the US National Championship Series was of extreme importance, that MSYSA would only consider leagues that consisted of USYSA-only teams as an MSYSA State Cup qualifying league. This motion was voted upon and passed by the MSYSA Executive Board. The US Youth Soccer National Championship Series is the country’s most prestigious national youth soccer tournament providing teams from US Youth Soccer's 55 State Associations the opportunity to showcase their abilities against the best in the nation while emphasizing teamwork, discipline and fair play. The yearlong competition begins with over 185,000 players on over 10,000 teams in the US Youth Soccer State Championships. 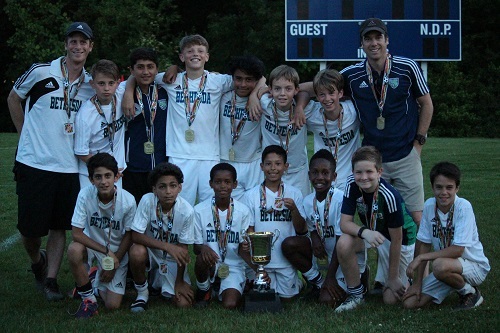 These champions and selected wildcard teams, through US Youth Soccer Regional Leagues, advance to compete in one of four US Youth Soccer Regional Championships. Champions (U-13 through U-19) from each regional event advance to the US Youth Soccer National Championships. 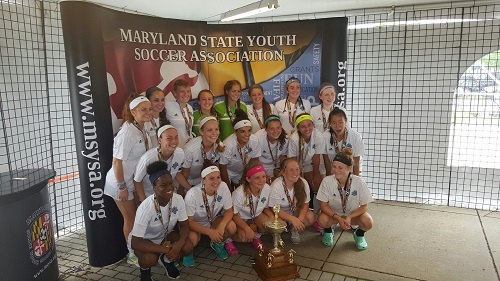 The Under-14 through Under-18 Boys and Girls age groups have four teams representing the US Youth Soccer National League, in which the top two teams in each gender age group division earn a direct path to the National Championships. Overall, the US Youth Soccer National Championship Series provides the nation's top collegiate coaches with the premier stage to identify and scout the most coveted players in the country. 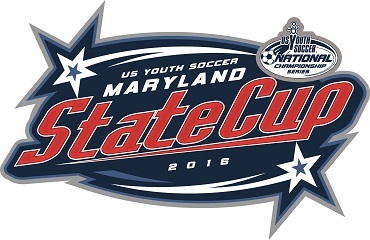 The 2016 State Cup brackets can be viewed and printed on the SINC sports web site. 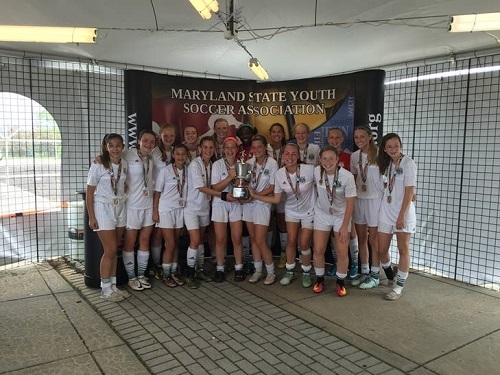 Click on the "GAMES" tab located below the MARYLAND STATE CUP 2016 header. Please click here to view an article posted by Glennon on her blog titled Momastery. The title of the article is "How to watch your kid's game without being a jerk".